Hey! It’s another monthly update of the links, resources, and other notable content more people should know about. Enjoy! For Mac users, Tyke is like a bit of scratch paper that’s always available in your Mac menu bar. I use it many times a day – it’s a super handy place to jot down a quick note. Best of all it’s free – you can find it at tyke.app. If you ever need to send something securely – like passwords or documents with sensitive data, Firefox Send is a free tool that’s end-to-end encrypted and really easy to use. Once you send the file, the link automatically expires. You can set the expiration anywhere from 5 minutes to 7 days or after a certain number of downloads. I’ve used it to send login info to clients – because that’s not the kind of thing you should be sending through email. If you’ve ever tried to name something, you probably know it’s harder than it’s harder than it seems. Onym aims to make the process easier by collecting high-quality tools and resources for naming things. There are word generators, ideation tools, historical and cultural resources, and more. If you use Google Docs, Sheets, or Slides on a regular basis, there’s a little-know, super-fast way to create a new file – just type sheets.new, docs.new, or slides.new in the URL bar of your favorite browser. Voilà, new file! If you’re a designer at a massive, multinational company with a rich history of design innovation, but no cohesive design language – how do you establish one? That’s the challenge faced by IBM Creative Director, Mike Abbink and his team. 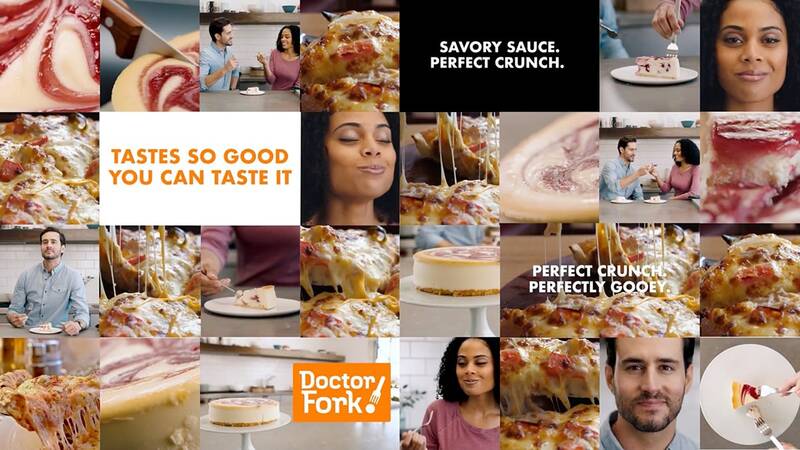 So they started with… a typeface? 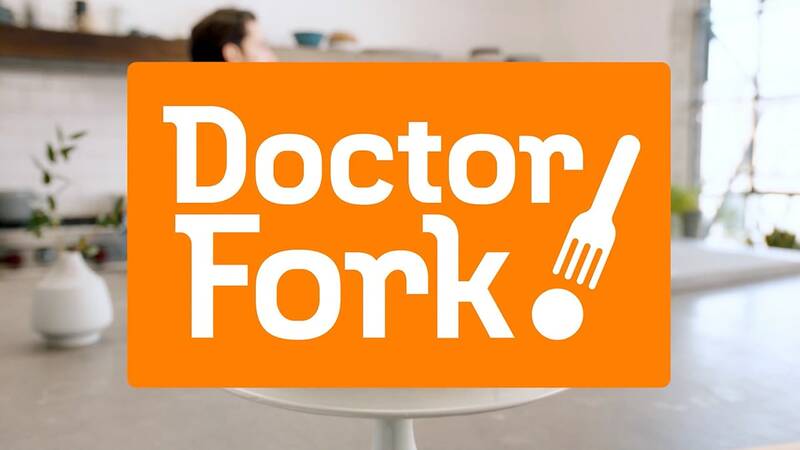 How they built a design language with a font. In the realm of user experience, creating consistently delightful experiences is the ultimate goal, but one of the biggest challenges. So when you’re ready to improve your UX, where do start? With a friction audit. And the team at Sequoia Design Lab have been kind enough to share their 10 steps to a friction-free app. If you feel like you can’t keep up with the pace of change in marketing and advertising, you’re not alone. Magpie Marketing argues things aren’t changing as quickly as you’ve been led to believe, and focusing on fundamentals could be your competitive advantage. The Toolbox Toolbox is a massive collection of resources for brainstorms, product design, user experience design, business strategy, and more. It’s a really useful resource for designers, marketers, and strategists. 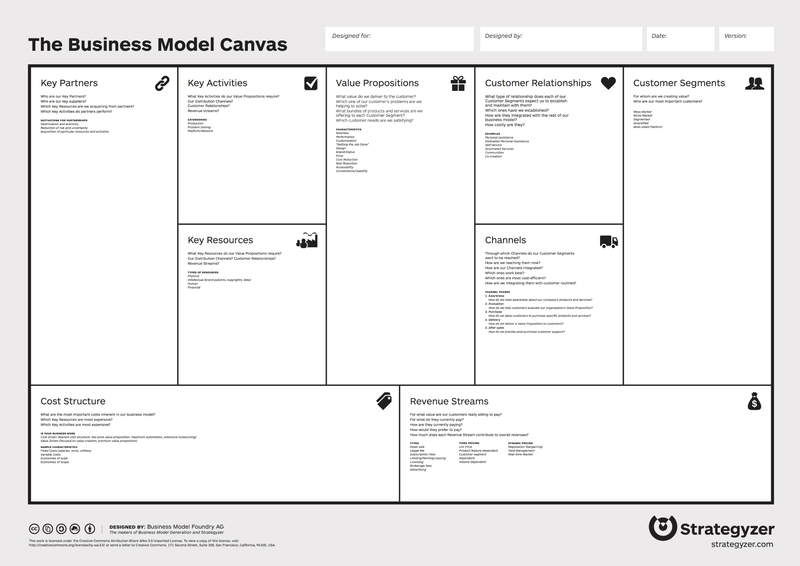 One of my favorite tools is the Business Model Canvas, a tool I originally found in a great book called Business Model Generation. The Canvas is a really useful framework for thinking through how you describe and design what’s unique about your business or products. The original canvas inspired a wide range of others, which Andi Roberts has collected here: The Canvas Collection. And if you want an easy way to create your own canvas, CNVS is one of the best tools available. For branding nerds, I highly recommend How to Build a Brand, a series of 8 posts by Felicia C. Sullivan that’s a deep dive into everything that goes into building a great brand. I’ve read a lot of books on branding – I’d choose this series over almost any book. For non-branding nerds, I’m working on an article that covers the basics of branding, informed by the questions I hear from the nonprofits and startups I work with. If you have questions, get in touch! Stripe is an online payment platform (think: collecting donations online) with some of the lowest transaction fees available, at 2.9%. But for nonprofits, that fee is even lower: 2.2%. To get the discount, email Stripe at [email protected] with a request for the discount. Include your EIN number, a determination letter stating that you’re a 501(c)3, and the email address associated with your Stripe account. Let me know if you have questions or need help with the process. Salesforce offers a Nonprofit Success Pack that’s free for your first 10 users. If you need more licenses, the fees are deeply discounted. It’s everything you want from the Salesforce platform with added features made for nonprofits, like donor management and fundraising reports. Check out the Salesforce Nonprofit page for more information. For nonprofits looking for tools to create social content, Canva is one of the best tools available. They offer a free nonprofit subscription. If you’re working with a designer, they can create branded templates in Canva, then anyone on your team can use those templates to easily create social content that looks great and helps to build your brand. Get in touch with me if you have questions or need help creating your templates! ColorHexa is a tool that generates matching color palettes, shades and tints, and color blindness simulations. PALX is made for UI and UX designers. This is one of my new favorite tools for creating extensive color palettes that harmonize with brand colors. And if you’re a UI, UX, or web designer looking for new design tools, I highly recommend Figma. I wrote an article about why I like it so much, and it’s gotten way better since then. If you use Sketch, but need a tool with built-in prototyping, collaboration, and more, you might love Figma, too. It’s select music from the soundtrack slowed down 600–800% and overlaid with rain sounds, chimes, and more. The creator wrote a really detailed post covering why and how this came to be. The biggest launch so far – a new website for HNC Living Foundation. They’re a nonprofit dedicated to helping head and neck cancer patients live life fully. When we started talking about the project in November 2017, HNC Living was frustrated with their old site. It didn’t effectively communicate what they did or who they helped. Key content was difficult to find. And thanks to poor search engine optimization (SEO), the site itself was difficult to find. After learning about the Foundation’s challenges and plans for the future, I formulated a plan to improve the design, content, organization, SEO, and more. Throughout the project, the HNC Living team was wonderful to work with. They were collaborative, communicative, open to new ideas, and asked great questions. Took full advantage of their premium WordPress theme, Avada, to create a visually impactful, mobile-friendly, and results-oriented user experience (UX). Moved their WordPress-based website to a new web hosting provider, giving them a faster, more secure platform which will help support their growth for years to come. Rethought and refined all of the site content, with an eye toward optimizing SEO. This drove great discussions on how HNC Living talked about themselves and helped focus their brand messaging. 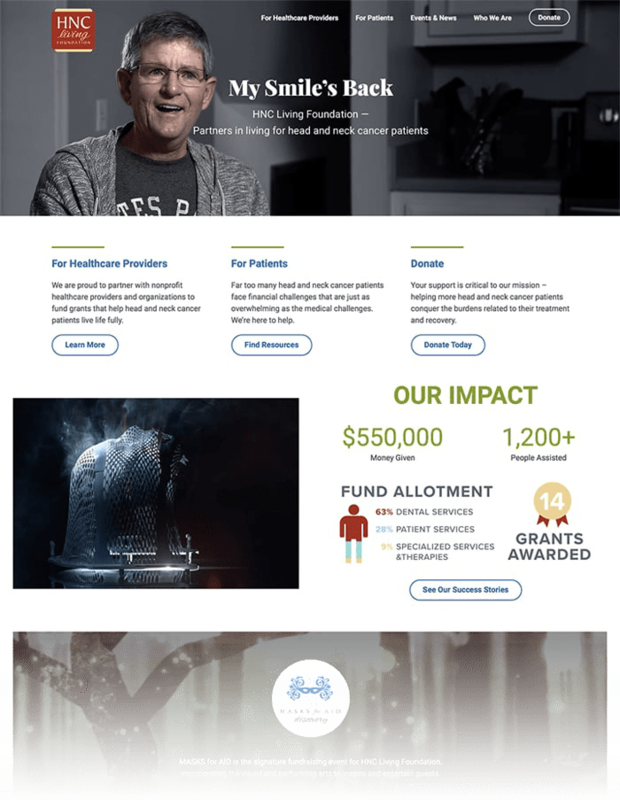 Since launching the new HNC Living website in April 2018, they’ve seen significant improvements in traffic to the site, SEO rankings, and donations. All of which helps them fulfill their mission – helping head and neck cancer patients live life fully during treatment and recovery. 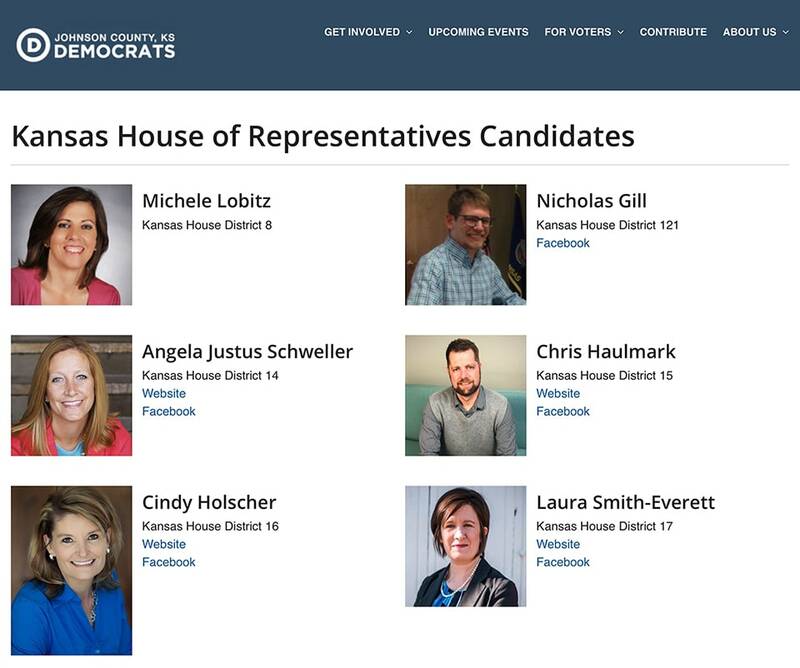 A smaller, though no less important launch, I created a tool for the Johnson County Democrats that helps them inform voters about candidates in key races across Kansas. Using the Pods plugin for WordPress, I designed and coded a custom post template that allows their website editors to easily add candidate information, photos, and links. The content is all mobile-optimized, so visitors on the go can quickly access the information and head to the polls as informed voters. 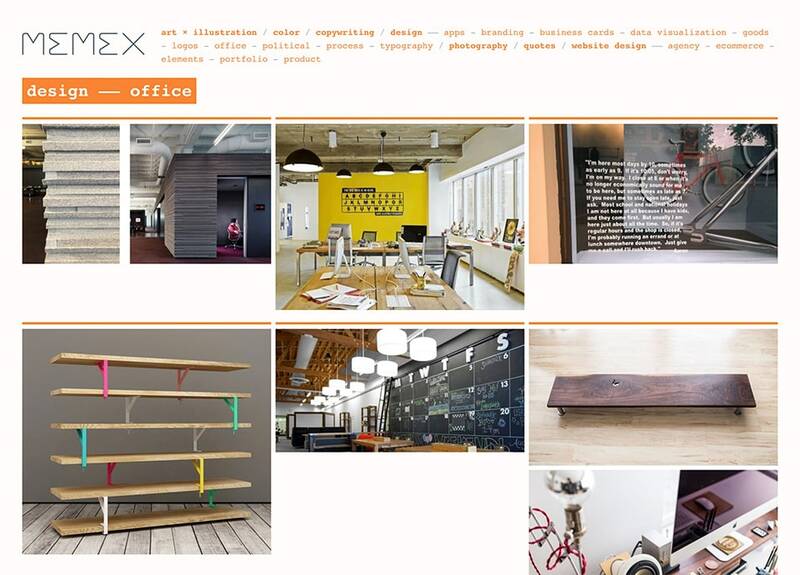 A personal project, MEMEX is a tool for browsing collections of visual inspiration. The goal of the project was to use a minimal amount of code to create a modern, easy-to-use platform for viewing my ever-growing collection of samples of branding, website design, photography, color schemes, and more. For me, this replaces platforms like Pinterest and various desktops apps that — while great in their own way – didn’t meet my needs. MEMEX is an open-source tool, so anyone can use it and it will continue to evolve and improve. Another personal project, CSS GRIDkit is an open-source starter kit for CSS Grid Layout. It’s simple and mobile-first with a Flexbox fallback for IE 10+. Helped me learn how to use CSS Grid, the future of layout for the web. Provided a framework for easily converting some of my existing websites to CSS Grid. More importantly, it allows me to experiment with all-new layouts and design ideas that would have been impossible to create without CSS Grid. This blog – using the Underscores theme as a starting point, I created a simple and clean WordPress theme over a weekend. Last but not least, I launched this blog. Going forward, this will be the home for thoughts on design, advertising, and marketing trends impacting the types nonprofits, startups and growing businesses we work with a flow14. The old flow14 blog, active from ~2006 – 2014, has been converted to a static website and has a permanent resting place at blog.flow14.com. There are more projects in the works, but we’re always looking for new an interesting challenges. If you’re part of a nonprofit or startup and need a new logo, brand, or website, get in touch today!